Beyond Measure: Domesticating Distance is an exhibition initiated by emerging curator Ambereen Siddiqui and assisted by a Culturally Diverse Curatorial Project grant through the Ontario Arts Council. A key work in Moving Image is a video by Vessna Perunovich entitled Unoccupied NY. 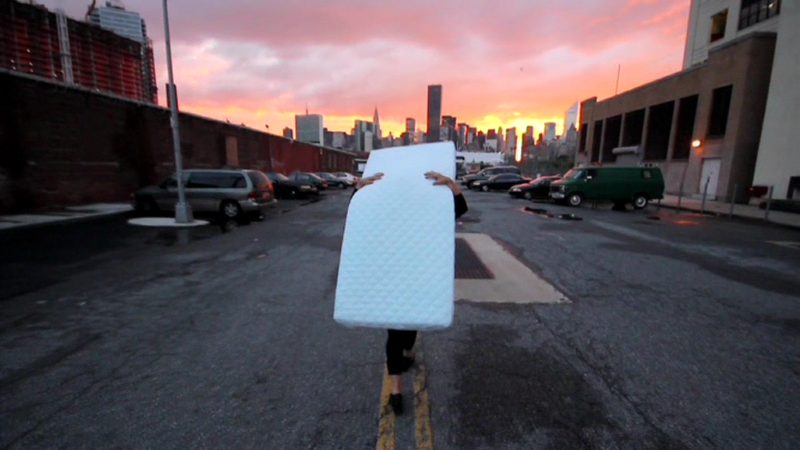 It follows the artist through different parts of New York City as she carries a single mattress on her back. Her work addresses concepts of migration, longing and boundaries, as well as the diversity of New York’s populations along ethnic, social and economic lines. 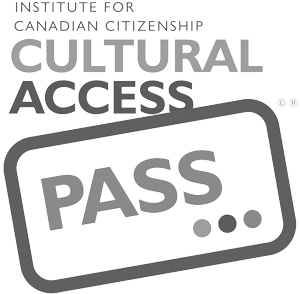 Perunovich, like four of the five artists in Beyond Measure, is an immigrant to Canada who relates to a sense of the dis-rootedness and yearning that comes with leaving one’s home country. This work, along with Surendra Lowatia, Tazeen Qayyum, Meera Margaret Singh, Asma Sultana, and Abdullah Syed challenges the viewer to look more deeply into the individual experience and the singular work and see its universal themes. Image: Vessna Perunovich, Unoccupied NY, video still.